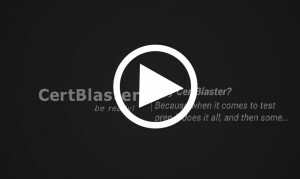 The CertBlaster® 70-410 practice test helps you prepare for Microsoft’s Installing and Configuring Windows Server 2012 exam. With over 210 practice questions similar to the ones on the actual exam, this is an exceptionally comprehensive and complete practice test offering. 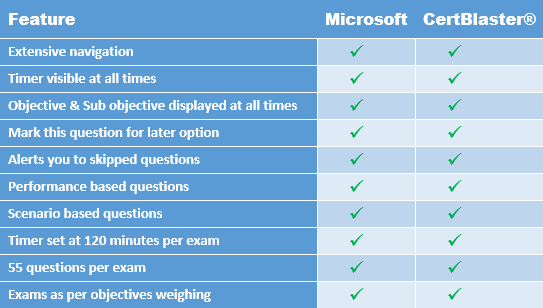 What is Included in the 7-410 Practice Tests? Because we have exceptionally comprehensive 70-410 practice tests: 210 questions! Because you get 3 interactive exam simulations plus 6 Domain Drills (one for each exam objective).